MY CALL: This sequel sees a most welcome upgrade in effects and a small loss in character credibility, but it still does justice to the franchise. MOVIES LIKE Subspecies II: Other pseudoromantic monster movies include Subspecies (1991), Subspecies III-IV (1994-1998), Dark Angel: The Ascent (1994) and Bleeders (1997). SIDEBAR: This was filmed back to back with Subspecies III, which follows in the spirit of the franchise by picking up exactly where this movie ends. Let’s take a moment to appreciate the Bloodstone, after which this sequel is named. Michelle narrates as this sequel picks up immediately where Subspecies left off: fledgling vampire vixens lay dead on the ground beside Radu’s beheaded body (Anders Hove; Subspecies, Subspecies III-IV, Critters 4). Director Ted Nicolaou (Subspecies, Terror Vision, Puppet Master vs Demonic Toys) has stepped up his game. Right away the effects seem to have graduated from the already impressive (i.e., on a low budget) Subspecies. The claymation of Radu’s subspecies minions is green-screened more subtly and their movements are more ambitious as, for example, two of the diminutive demons work together to remove the wooden stake from Radu’s chest. As Radu’s head reattaches itself we find much more elaborate effects and creative gore than previously seen. A la The Thing (1982), arterial tendrils whip from his detached head and affix themselves to his body. As they drag his head into place is spinal cord extends outward to receive it. Already I’m impressed! But wait, there are more new effects hailing scare-tastic fun. When Radu slays his sleeping brother (who defeated him in a the end if Subspecies), we watch as Stefan’s face sinks into a fleshy slimy mess with exsanguination. We also enjoy more creative depictions of Radu’s “shadow gliding” ability (which allows him to quickly move “through” interconnecting shadows). Evidently when you become a vampire you look like an entirely different actress. Just a reminder. This movie is about that thing. 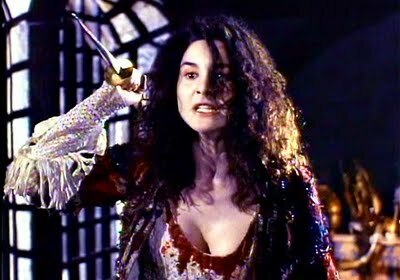 Replacing Laura Mae Tate (Dead Space, Subspecies), Denice Duff (Subspecies III-IV, Night of the Living Dead 3D: Re-Animation) assumes the role of now-vampire Michelle, who was turned by Stefan in the end of Subspecies. 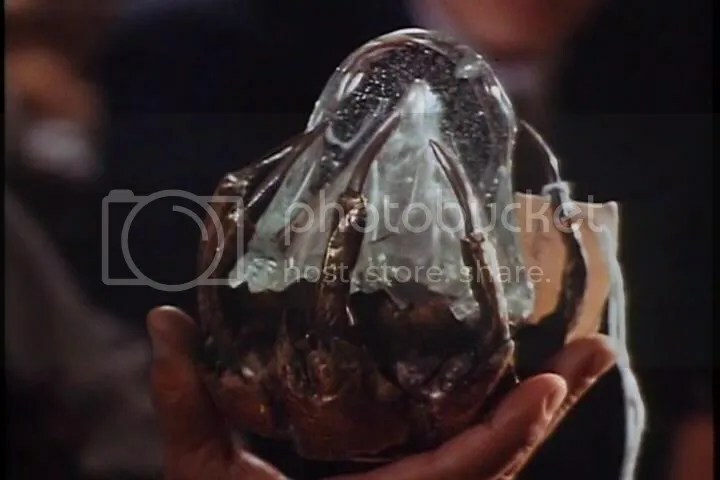 Escaping the castle with the bloodstone and slowly learning what it means to be a vampire, Michelle turns to her sister Becky (Melanie Shatner; The Alien Within, Subspecies III, Star Trek V) for help. Meanwhile Radu turns to his “Mummy” (Pamela Gordon; Weird Science, Poltergeist II, Subspecies III, Alien Nation), a crone-like ghoul akin to an unwrapped mummy that is hungry for the bloodstone. Embassy representative Mel (Kevin Spirtas; Friday the 13th Part VII, The Hills Have Eyes Part II, Subspecies III) and local Romanian Lt. Marin (Ion Haiduc; Subspecies III-IV, Dark Angel: The Ascent, Mimic: Sentinel) try to help Becky find her sister. They then team up with occult history Professor Popescu (Michael Denish; Subspecies III-IV, Vampire Journals) and visit the fortress where Michelle was staying (in Subspecies). Whereas the effects in this sequel are far superior to the original, these characters (including our female leads Becky and Michelle) just aren’t as strong as the protagonists in part 1. They don’t carry the scenes well and often they don’t seem confident enough for their roles. Only in the final scene do Michelle and Becky find the strength to fight Radu. Understandably, Michelle spent much of the story suffering from her transition to vampirism and the associated urges. But I just feel too much of this movie’s running time was filled with unconfident characters. Here’s another issue. 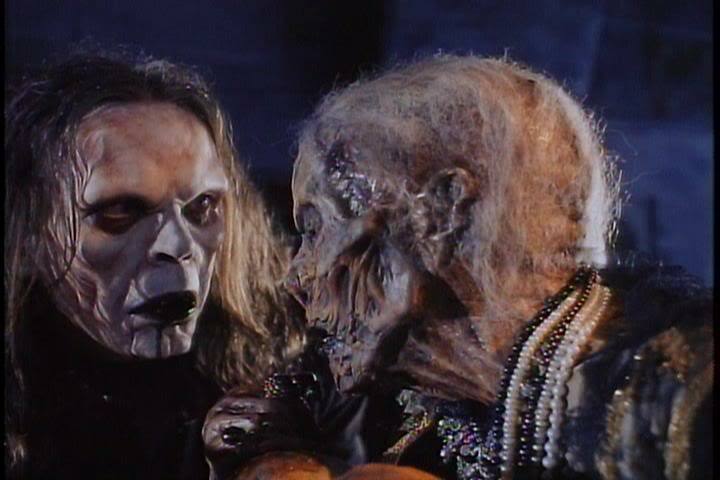 The franchise is called Subspecies yet we only see the subspecies demons in the opening scene. This sequel is called Bloodstone yet the Bloodstone seems to play really no more major part in this sequel than in the original (or part 3, FYI). Oh, no wait. Mummy’s looking at the Bloodstone. So…this movie “is” about the Bloodstone? The movie seems to focus just as much on Radu’s little crush on Michelle. Accordingly, the finale is not as powerful as part 1. Yes, Radu is again defeated and yes, there’s some blood, some fire and a lot of stabbing. But it’s nothing special and has nothing as cool as the decapitation or “chandelier death” of the original. Maybe it’s not fair to compare it to the fantastic effects and gore of the opening scene, or maybe they just didn’t try as hard because Subspecies III was filmed back to back with this and they never put much thought into a “big ending” (as they clearly did for Subspecies), already being obviously aware that this was not “the end.” If that’s the case, then part 3 better have one Hell of a finale! In either case, I very much enjoyed this and, as I’d advise you, I watched Subspecies III immediately after this for the sake of story continuity. So enjoy and stay tuned for my review of Subspecies III: Bloodlust. Oh man. I know I’m gonna get kicked in the nards for this but I have NEVER seen any of these films. I need to remedy that, don’t I? Good review, bro! Hey, I just saw it for the first time last week. I spent 20 years assuming it was a lam Full Moon B-release. Then I got into Full Moon B-releases and found this to be one of the best B-movies on the market. Some Full Moon flicks were hit or miss. Need to watch these, though. Thanks, John! Hit or miss is right. But I’ve spent the last 6 months trying to swing at all of them. By and large I’m at least entertained. Few were a total waste of time.